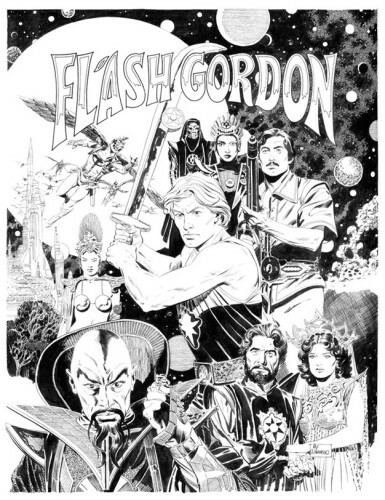 It was originally part of a Sunday page I wrote and drew to show that I wouldn’t be drawing Sally Forth in the Flash Gordon style I was known for. Here’s the genesis of the page starting with the partially inked pencils. I hadn’t quite nailed the character’s likenesses in the first draft so I ended up inking the faces again then pasting them on the original. Still was a little off – after checking my reference I discovered the style sheets I had were dated. I ended up inking the faces a third time on a separate piece of paper then making the switch in photoshop. Last but not least, color was added (photoshop again) and the faux Sunday page was finished. Click on image to see larger. To wrap up, here’s the Al Williamson drawing (based on the 1980s movie the Forth family is watching) that I paid homage to in the splash panel. 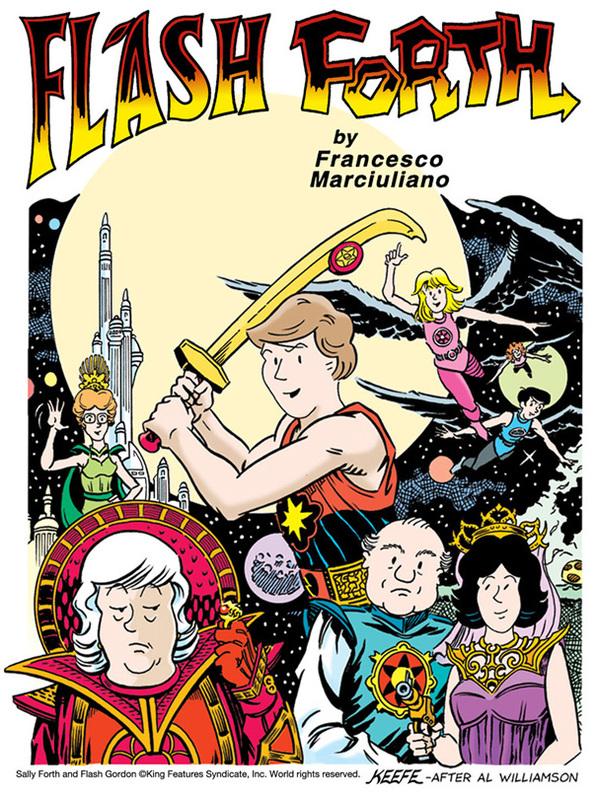 This entry was posted in Flash Gordon, Francesco Marciuliano, Sally Forth and tagged Flash Gordon, Francesco Marciuliano, Sally Forth. Bookmark the permalink.